New East London Youth Dance Company announced for 2018/19! We are thrilled to announce East London Youth Dance Company (ELYDC) is back. Led by Artistic Director Jasmin Saulo and supported by former company member Kia Henry the company are ready for an exciting year of development and performance opportunities. With a strong base in hip hop and contemporary foundations Jasmin Saulo brings a unique style of movement to the company. Follow us on social media to find out where you can catch the company perform at various events and venues throughout the year. After an action packed day where participants were challenged and encouraged to push themselves physically and mentally the audition panel were delighted to be able to select 12 passionate and determined movers for the company. Alongside new recruits ELYDC consists of individuals who have engaged with the East London Dance several times before including through; Frantic Assembly Ignition Workshops, HeadStart School Tasters, our Youth Advisory Board, Half Term Projects, previous membership of the company itself or by taking part in our Open Technique sessions. We are thrilled that Alexis, Anna-Lisa, Dante, Emmanuella, Jasmine, Jennifer, Jordan, Kira, Niamh, Sarah, Shinice and Tiago will make up the company for 2018/19. If you missed the audition and are aged between 13–17, East London Youth Dance Company invite you to join their open technique class for free, every Saturday 10:00am-11:30am. Find out more here. 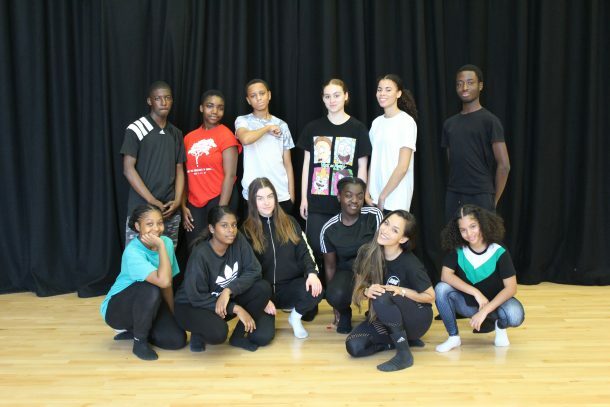 East London Youth Dance Company is an East London Dance and University of East London partnership project supported by Active Communities until Dec 2018.